Gold Dress: Coast, Gold Collar: Zara, Leather Clutch: Asos, Jacket: H&M, Patent Red Heels: Topshop. 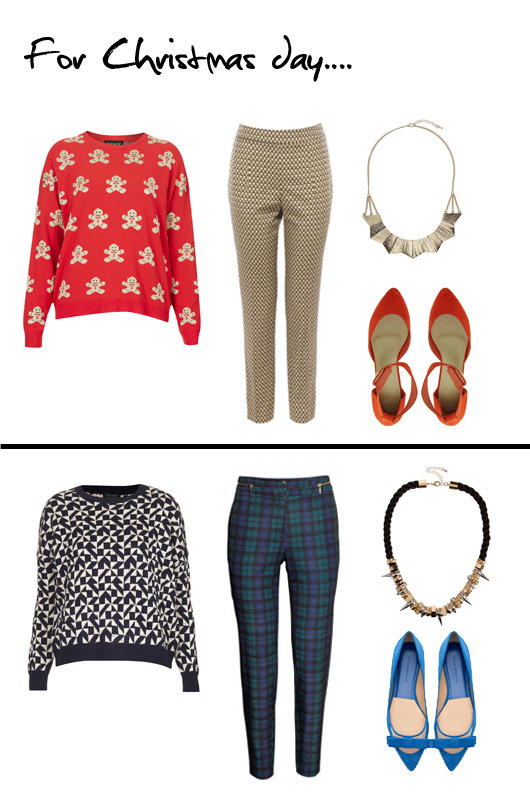 Gingerbread Jumper: Topshop, Gold Metallic Trousers: Coast, Suede Pumps: Asos, Gold Necklace: Topshop. 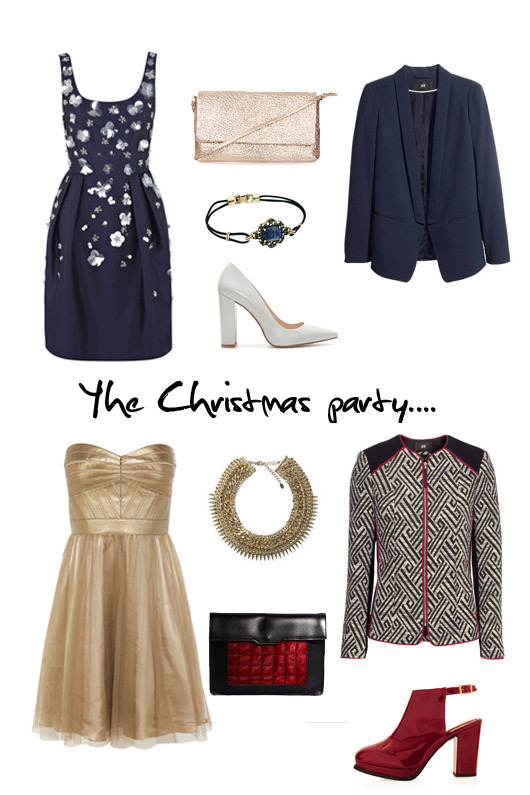 What do you wear on Christmas day? Do you dress up or stay in pj's all day long? I dont know yet what I will be going for this year. I need to find something that is hiding in my closet because I'm doing the Free Fashion Challenge ( http://mrsstilletto.blogspot.nl/search/label/free%20fashion%20challenge ) so I can't buy anything new. Maybe I will do a simple outfit on Boxing Day because at my in-laws temperature in the house is always icecold low. So if I wear a pair of trousers with a thick cardigan on top I might look nice and have a little room for the dining and I will to be so cold....! These sets are so adorable :) Thanks for sharing, perfect for christmas ! I love that gingerbread jumper. I'm going for a red swing dress from asos that will have enough room for my baby bump and a big christmas dinner.